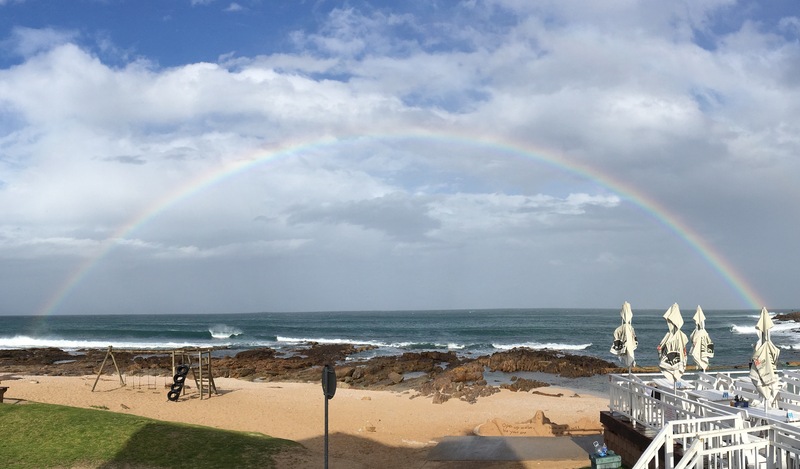 The Point, Mossel Bay, S. A. Sitting for a while and considering the greatness of God, I was rewarded when I saw this full rainbow on a sometimes stormy, sometimes sunny afternoon. To pause and consider the greatness of God is a biblical principle for our own spiritual development. We see this practice in Scripture. Make some time. Pause and consider: His greatness, faithfulness and promises.